Don't Panic! Selkie Can Rescue Your Data. Don't be left out in the cold when your computer crashes. With Selkie Rescue in hand, the next time you see those four chilling words -- "Operating system not found!" -- you won't even feel a shiver. 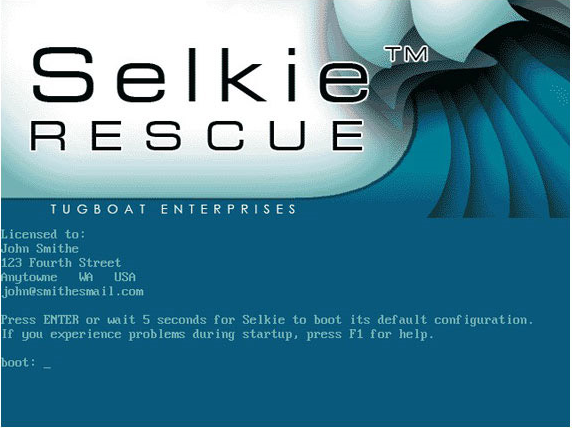 Selkie Rescue boots your desktop or laptop PC, completely bypassing the Windows operating system, and gets straight to work saving your valuable data and files. Selkie Rescue is easy disk recovery. After downloading the software, burn it to a CD. If a bad software installation, bad device driver, virus, malware, spyware, worm or Trojan crashes Windows or prevents it from starting, just place your Selkie Rescue CD in your PC, reboot, and then get to work recovering all the files stored on your computer. Data recovery and disaster recovery are only minutes away. Operates from a bootable CD. Works even when Windows doesn't. Is read-only, so your files cannot be harmed during the transfer process. Allows you to recover files via direct cable connection OR via an existing network. Does not alter or physically change your desktop or laptop PC. Data recovery and disaster recovery take place without changing or replacing any system files. Keeps ALL your files in the same file structure they existed on your original computer, so they are easy to find. Is the only real-time data recovery software on the market! “I purchased Lifeboat (now called Selkie Rescue Data Recovery) a while ago as a stand by tool, just in case my Windows machines crash. Well, the unthinkable happened. After years of 24/7 service, one of my trusted Linux servers (a Debian variety) failed to boot after an unexpected power surge. The home directory of the Linux server has several gigabytes of important data on it. These are robust, industrial grade servers that cannot and should not fail. After I calm down from the initial panic, I retrieve the Lifeboat-Selkie Rescue CDand inserted it in the Linux server's CD drive, boot up and in less than 2 minutes, the home (and others) directory of the Linux server is visible to the workgroup network, I recovered all the data! The Lifeboat/Selkie Rescue CD is one of those tools you want to have in your medicine cabinet. You don't know when you will need it, but when you do need it, you will be so glad you have it.”- Nicholas Fong, P. Eng. Visit www.selkierescue.com for more information about this product. I wonder if someone could rescue the Selkie Rescue link? 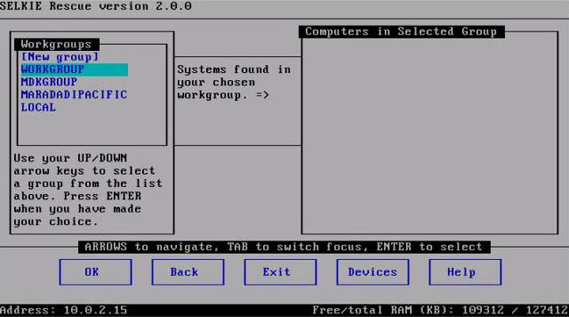 Platforms: Windows 3.11, 95, 98, Me, NT, 2000, Servers, Vista.